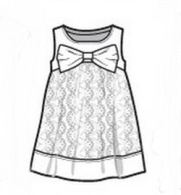 Offer almost all style of kids dress,not include Flower girl dress and Disney Princess Dress. because this two dress have many many style,so We give their Separate category. All of our kids dresses are free shipping.And we accept run small quantity kids clothing according to the customer request.